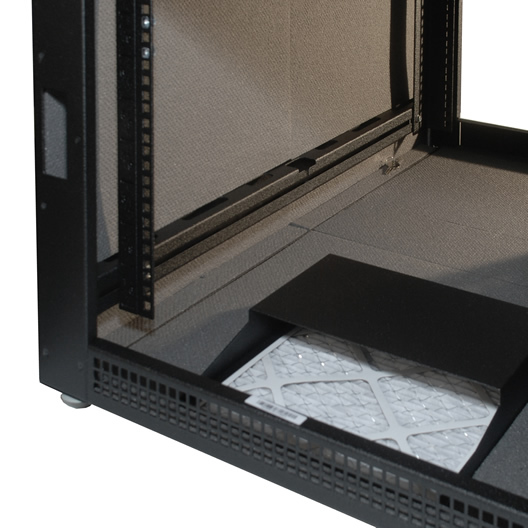 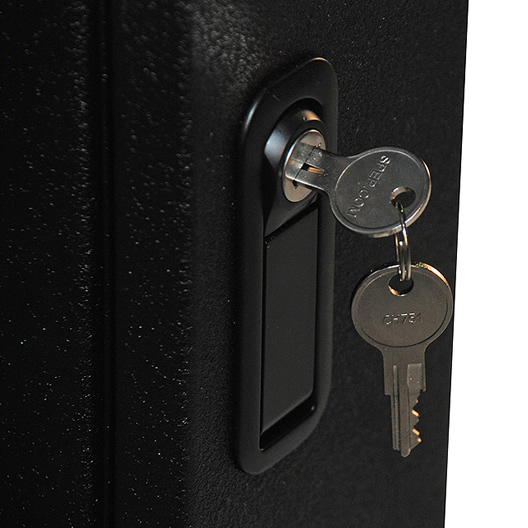 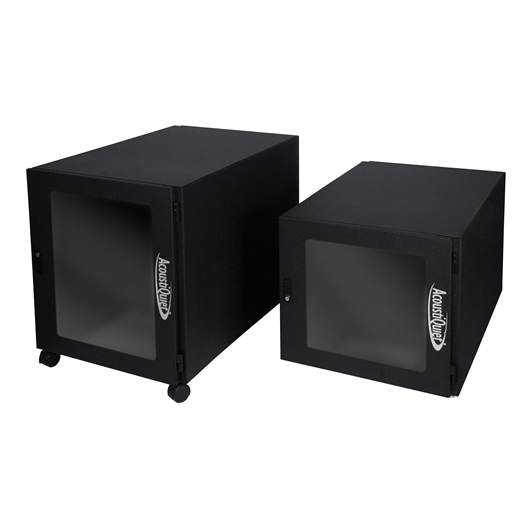 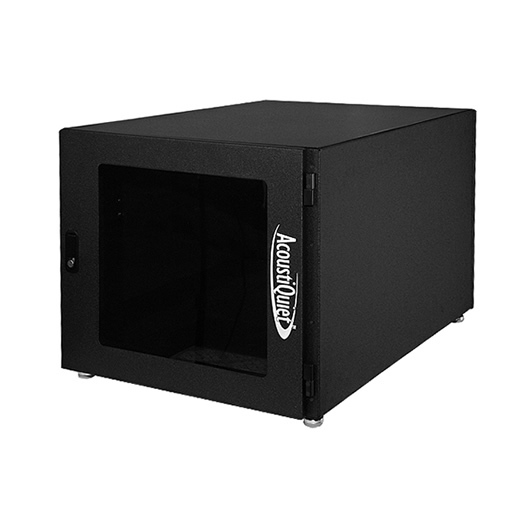 AcoustiQuiet™ Mini (12U & 9U) is a sound reducing quiet cabinet designed to enclose extra loud rack-mounted equipment. 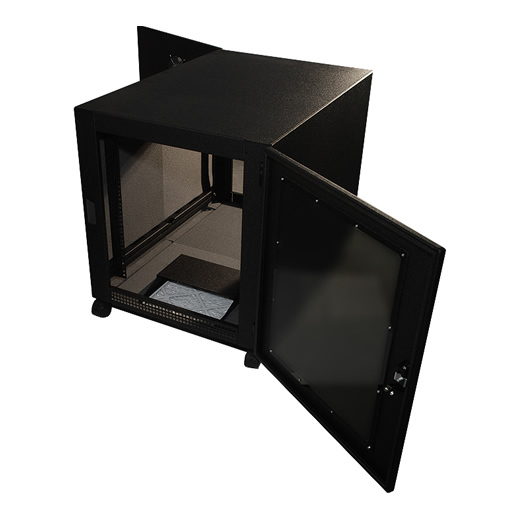 The AcoustiQuiet™ Mini (12U & 9U) integrates sound dampening acoustic material into the manufacturing process and traps and absorbs undesirable noise while still allowing free air movement and heat exchange within your environment. 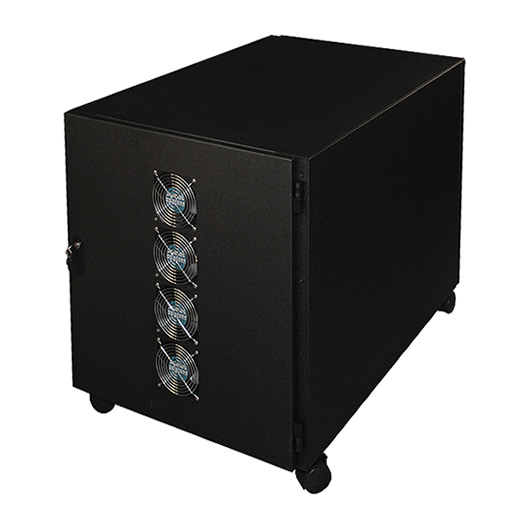 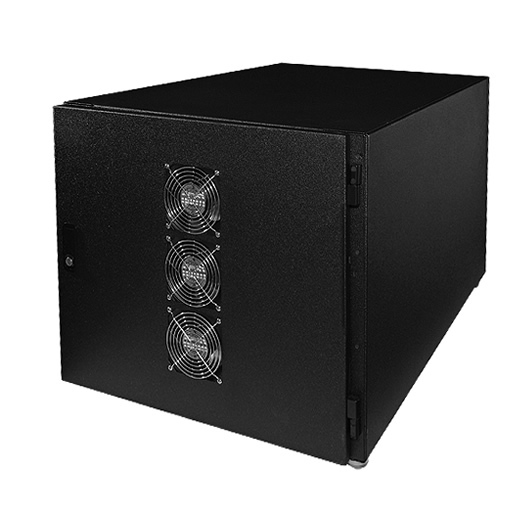 This unit offers a quiet rack server cabinet solution for clinics, branch offices, home offices and AV Studio deployments. 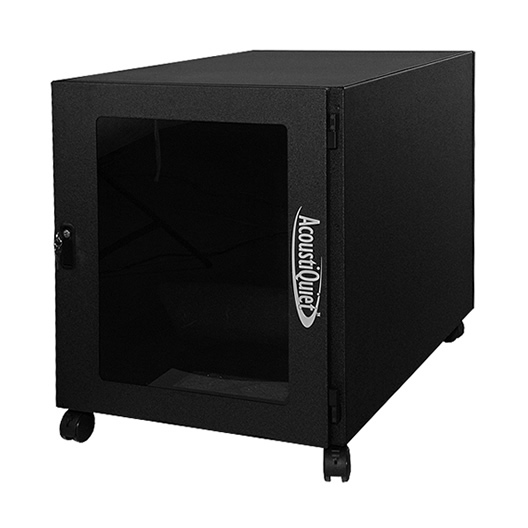 Simply put, the AcoustiQuiet™ Mini has the best Price Performance for the size & class of quiet rack cabinet! 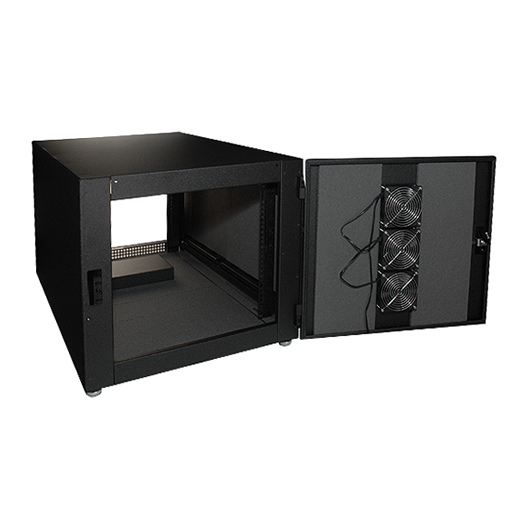 The AcoustiQuiet™ Mini (12U & 9U) Sound-Reducing Quiet Cabinets reduce noise of IT equipment by 14dB(A). 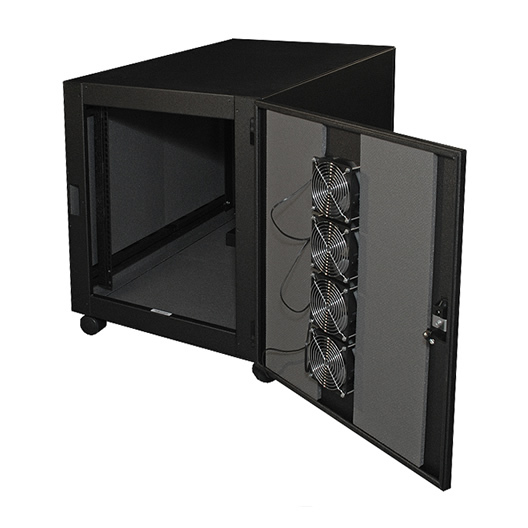 Depending on the originating noise in your setting, this can reduce the sound of server equipment down to a “quiet office with no speech”.